The Laker Current is looking for editors, writers and photographers who would like to contribute to MMCC’s online student newspaper. We’re looking for persons interested in leadership positions as well as students interested in learning more about journalism. 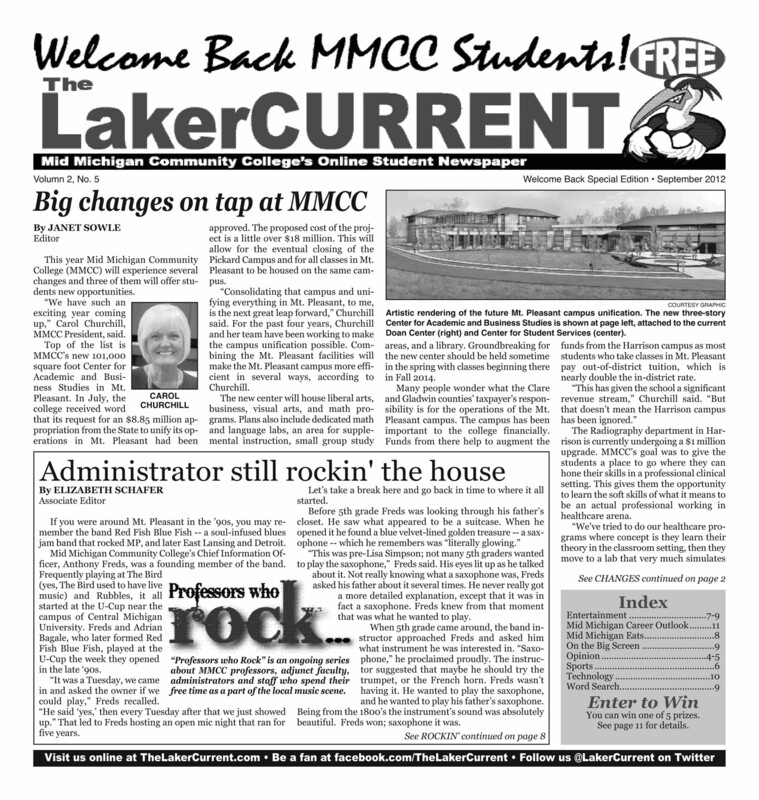 The Laker Current is a club at MMCC whose intent is to cover area and college news that would be of interest to students. As a club, the positions are unpaid except for the learning opportunities and the experience of actually being published. Applicants should be curious and inquisitive, enjoy talking to people, and have an interest in journalism or any facet of news and feature coverage, including entertainment and sports. A journalism class, “School Newspaper Publication” (JOR 120), will be open to students in winter 2016 to learn more about writing and current issues in journalism. Students also will be involved in the student newspaper’s publication. The class will be offered from 10-11:20 a.m. Mondays and Wednesdays in Mt. Pleasant. If contributing to The Laker Current sounds like fun or if you’re just interested in learning more about the club, contact faculty advisor Susan Hood at editor@midmich.edu.